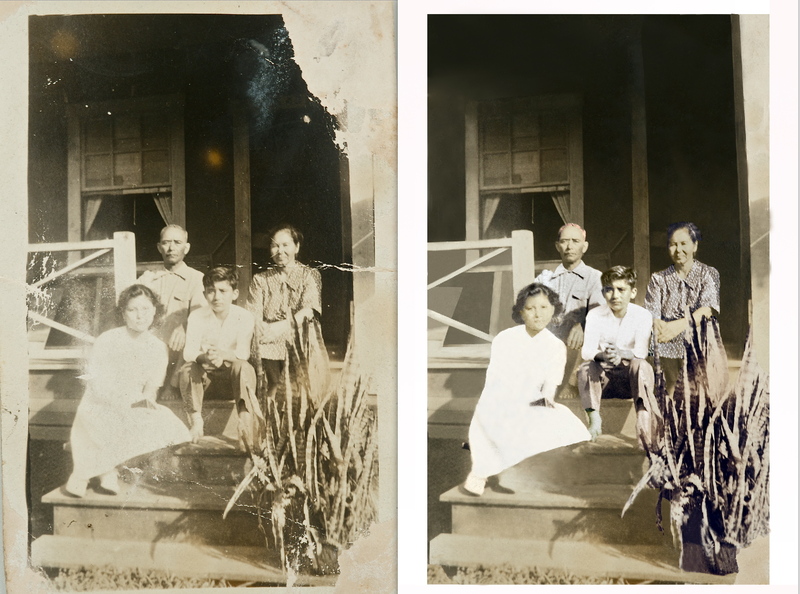 Why Restore Old Photographs Now? 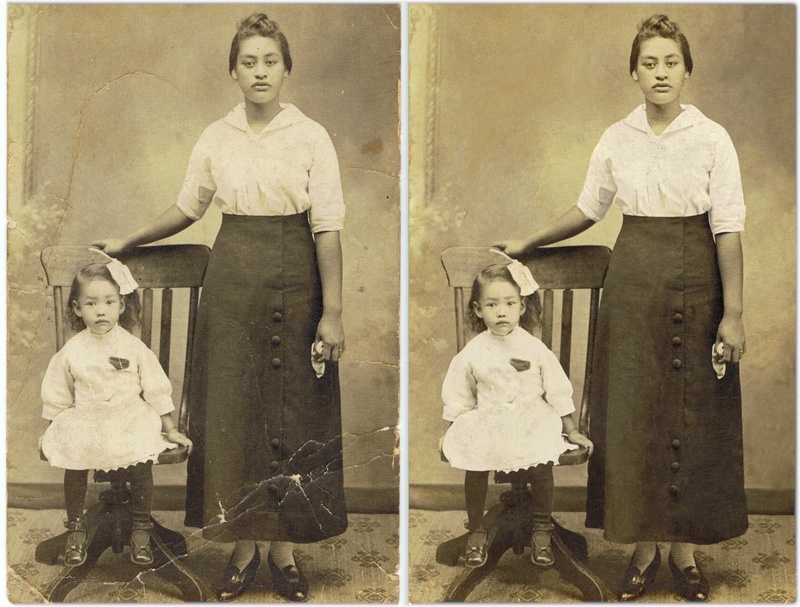 Many treasured photographs, especially those older, are one-of-a-kind keepsakes. Their biggest enemy, especially in Hawaii, is solar ultraviolet (UV) rays. UV rays slowly but surely break down the chemical dyes in photo paper and cause fading and color shifts. 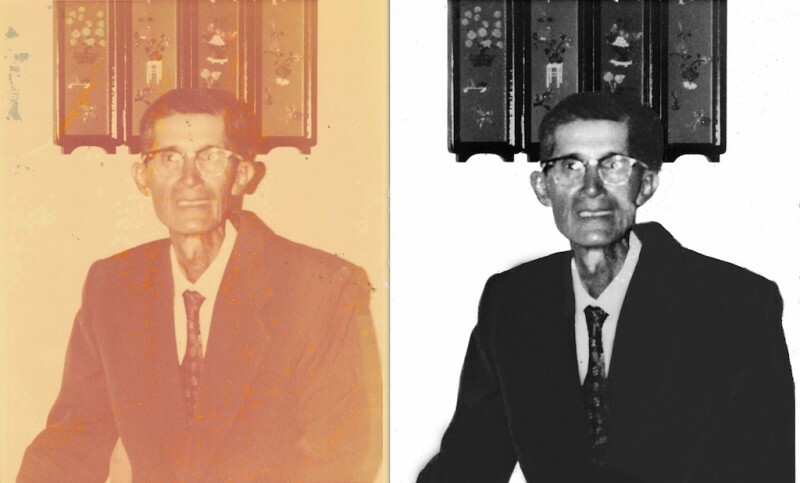 Repairing, refreshing, and digitizing your old image to a point of near or as-new condition is our specialty. 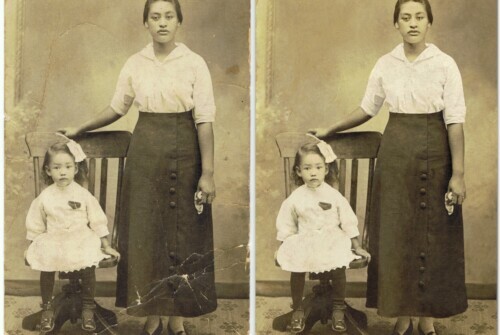 A baby photograph of your adult child or an image of a long-lost relative is absolutely priceless and completely irreplaceable. If owned as a single copy it can never be replaced. 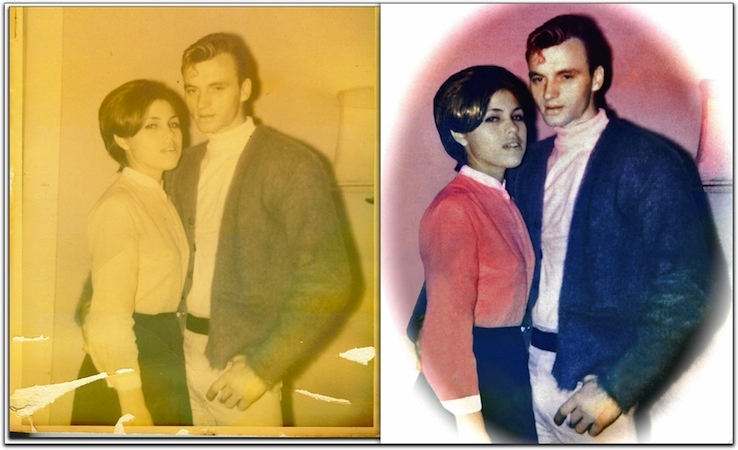 In addition digital restoration of old damaged photos, we colorize photos, even modern ones, for an old-fashioned hand-tinted look. Our DVD archive includes three files of each of your digital photo restorations: one Internet-ready file to email or post at your website, one medium-resolution photo file to print from your computer, and one professional-quality high-resolution file for use in publications. 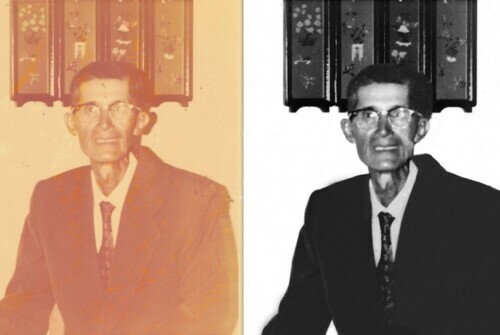 Removing dust spots and scratches and reduce image graininess. 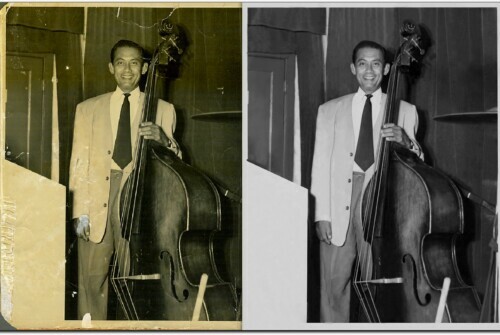 Repair minor damage on edges and background areas of your photograph. Replace lost data where areas are washed out. Increase the level of lost detail. 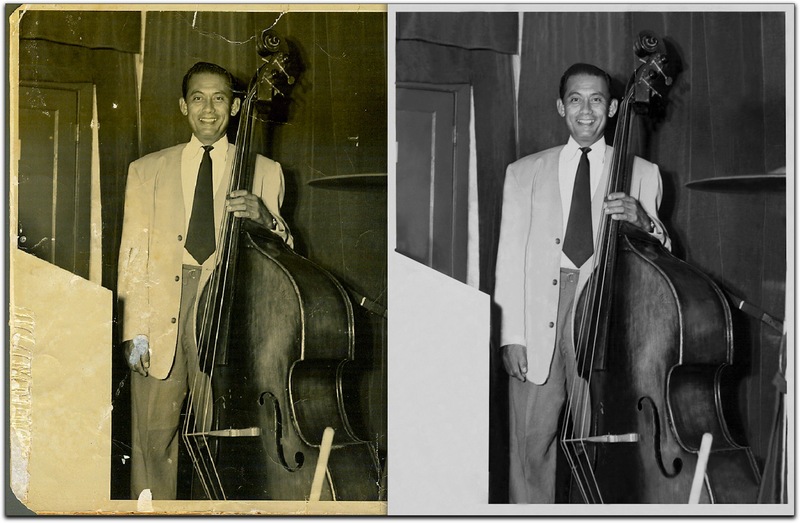 Darken and smooth background figures and remove or soften blemishes. 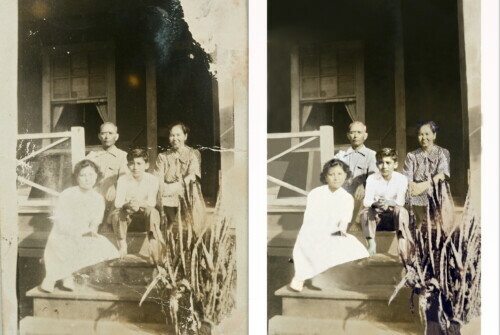 Remove color casts, cracks, stains, and enhance contrast and sharpness. Need advertising, real estate, or special event professional photography? 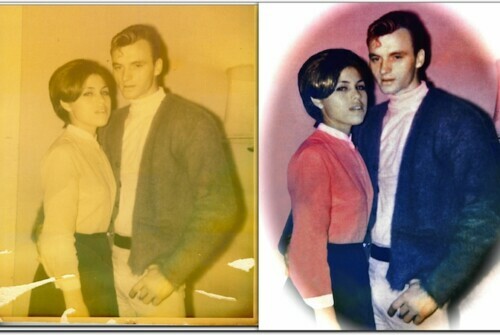 Save Your Precious One-Of-A-Kind Photographs Before They Fade Away...Forever!